A mother and 20 friends and family prepare to take on London's 2017 Gauntlet Games to raise money for The Sick Children's Trust to thank them for supporting her family when her daughter, Ava, was seriously ill.
Four HMS Ocean Petty Officers will be leaving the gangway in Plymouth on Friday 12 May and setting off on a seven day trek across the country to reach Scott House. They having nothing more than the clothes on their back, ID cards and a mobile phone. 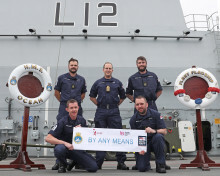 Plus to raise £3,000 they will have to take on challenges set by their colleagues. 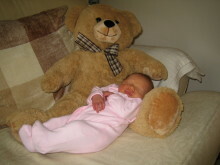 Ten years ago Jane and Neil experienced the heartbreak of losing their baby daughter, Emma. Since they have been fundraising in her memory. On Saturday 13 May they will be holding a Big Chocolate Tea family fun day to raise money for us as thanks for supporting them in Guilford Street House. 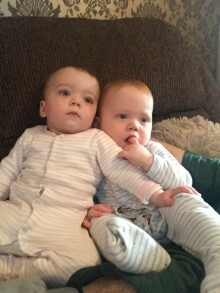 We supported Marcus and Laura from Chesterfield when their son, Harry, was seriously ill in Sheffield Children's Hospital. 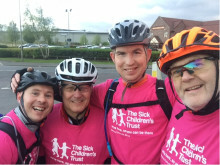 Since then, the family have gone on to raise £127,000 for The Sick Children's Trust and are hosting another fundraiser on Saturday 20 May. 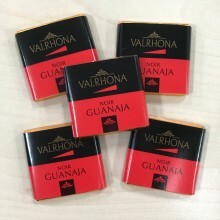 Internationally-renowned chocolate company, Valrhona, are generously supporting The Sick Children's Trust's Big Chocolate Tea once again this year to help us support more families with seriously ill children. 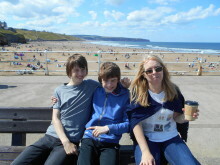 Last April, Luke was rushed to Newcastle's Royal Victoria Infirmary with a brain abscess. For four weeks he remained in the specialist hospital and during this time his parents were supported at Crawford House. Evie was born with a life-threatening condition and her parents were told to prepare for the worst. After weeks of intense treatment she was finally allowed home. 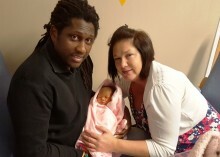 Now her parents are joining in Big Chocolate Tea to say thanks for giving them a 'Home from Home'. 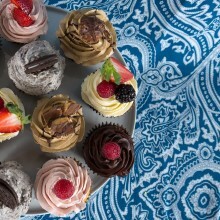 London’s popular American bakers, Butterscotch Bakery, have pledged to support The Sick Children’s Trust’s Big Chocolate Tea campaign to raise money for families with seriously ill children in hospital. Eight years ago we supported Lydia's parents when she needed lifesaving treatment at Addenbrooke's Hospital. Now they are taking part in Big Chocolate Tea. Esmé's family join in chocola-tea fun as thanks for 'Home from Home'. 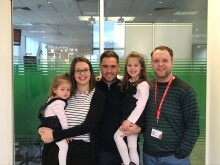 Esmé's parents, Emily and Luke, are both holding Big Chocolate Tea events at their work to say thank you for supporting them at Stevenson House when she was in The Royal London Hospital. 15 year old Mark Edwards went into cardiac arrests last month after having an allergic reaction to anaesthetic. We supported his family at Crawford House. Lisa Thompkins and Buba Jallow are calling on others to support Big Chocolate Tea after we supported them in Eckersley House. Read how their daughter defied doctors expectations. She was our baby and here for a reason. We were determined to do whatever necessary to give her a fighting chance. Bespoke British tea company, Tregothnan, are helping to encourage more people to take part in Big Chocolate Tea from Friday 21 April to Monday 1 May. Alex has been fundraising for us for the last three years as thanks for supporting his family in Stevenson House. 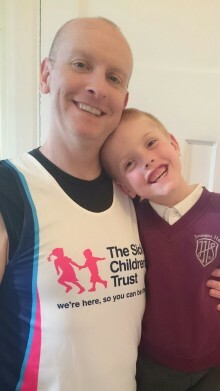 He is now running the Virgin Money London Marathon for us. 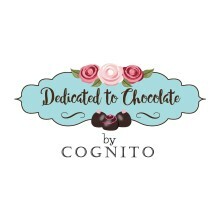 Cognito, a business that creates handmade skin products, is joining Big Chocolate tea this year by holding an event on Saturday 8 April. Natasha and Ashley Elley are joining in the chocola-tea fun this April and are asking others to get involved in helping The Sick Children's Trust raise over £65,000. 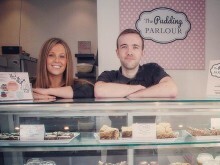 We're delighted that North East dessert boutique, The Pudding Parlour are joining us this year for Big Chocolate Tea. 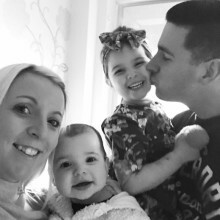 Just weeks ahead of his wedding, John is organising a charity football fun day as part of his stag celebrations to say thank you to The Sick Children's Trust for supporting his best man when his daughter was seriously ill in hospital.